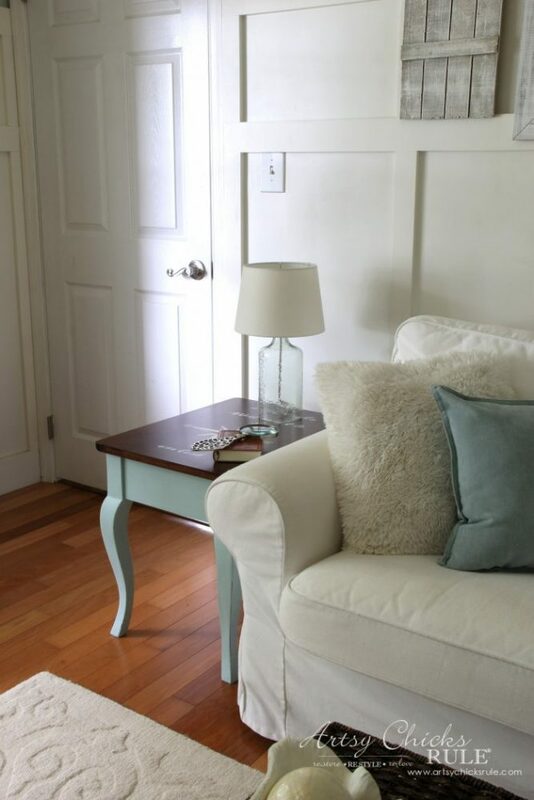 Do you love coastal decor? 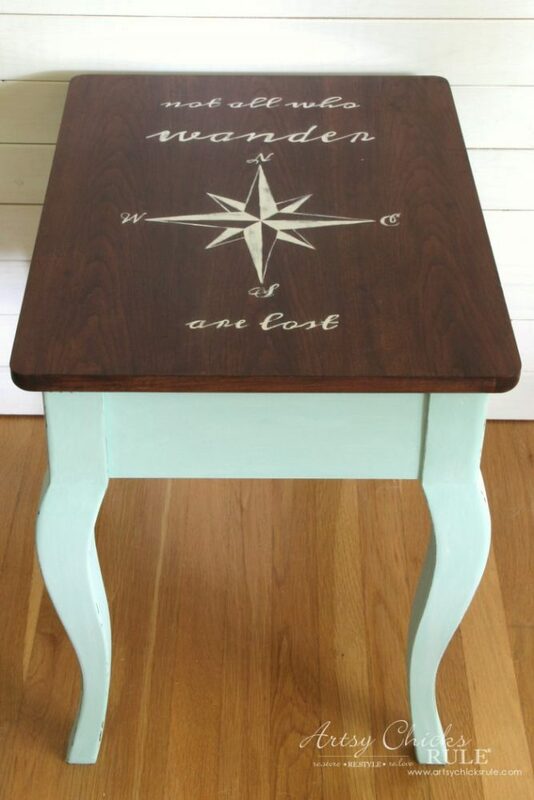 It’s easy to incorporate with old thrifty finds like this one that I transformed into a compass rose end table! 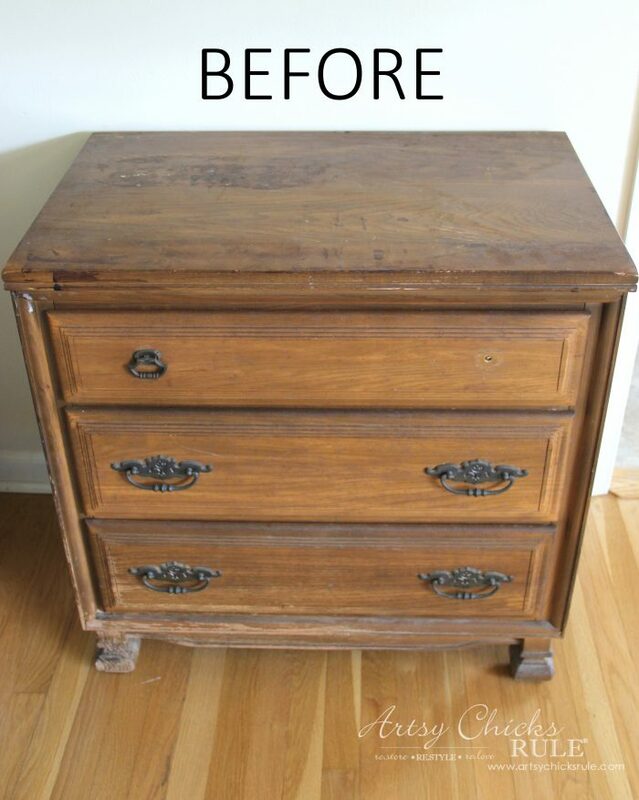 Happy Trash to Treasure Transformation Tuesday Friends! 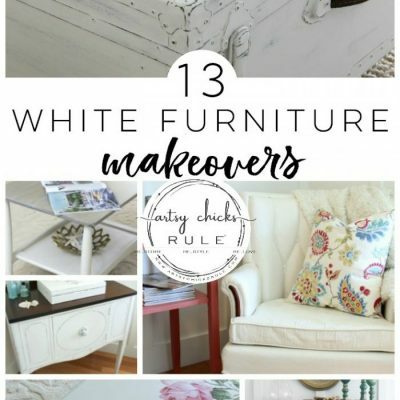 I’m so excited to be sharing a brand new makeover over with y’all today…. 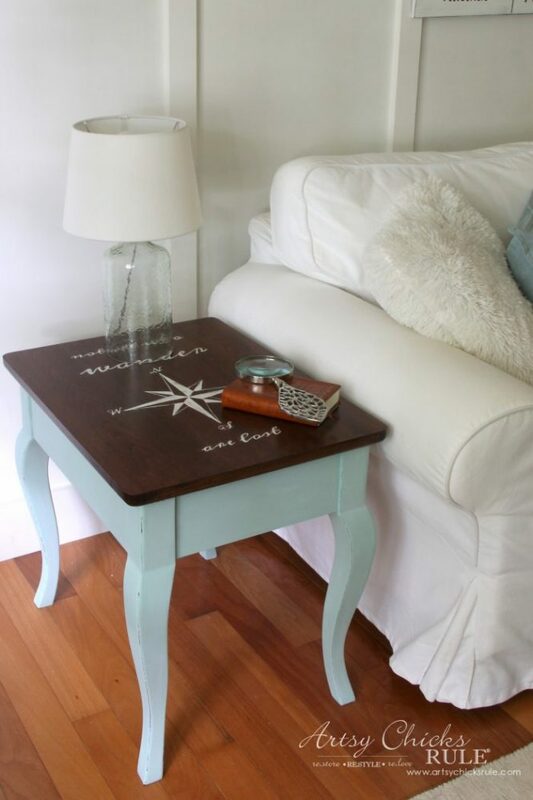 “Compass Rose End Table Makeover“. 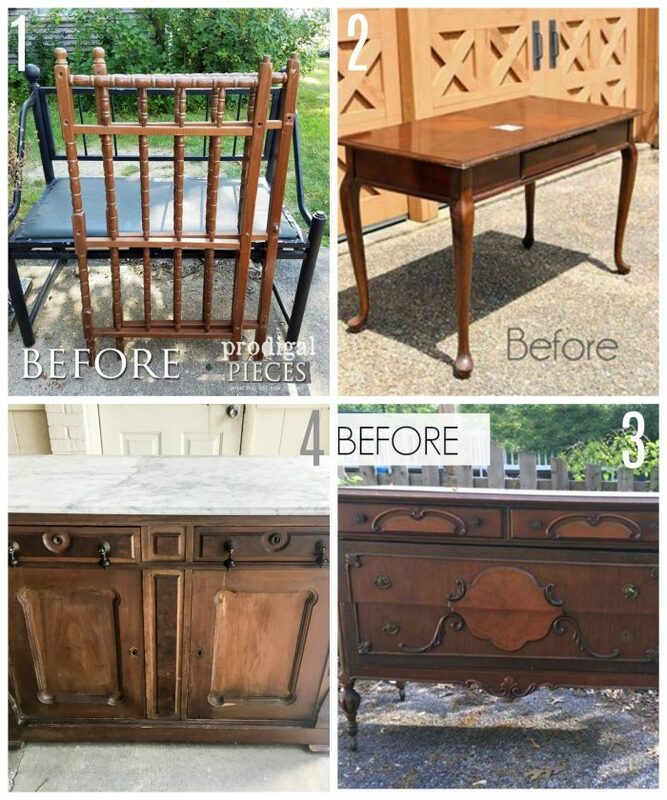 I’ll also be sharing my friends Trash to Treasure transformations at the bottom of this post. 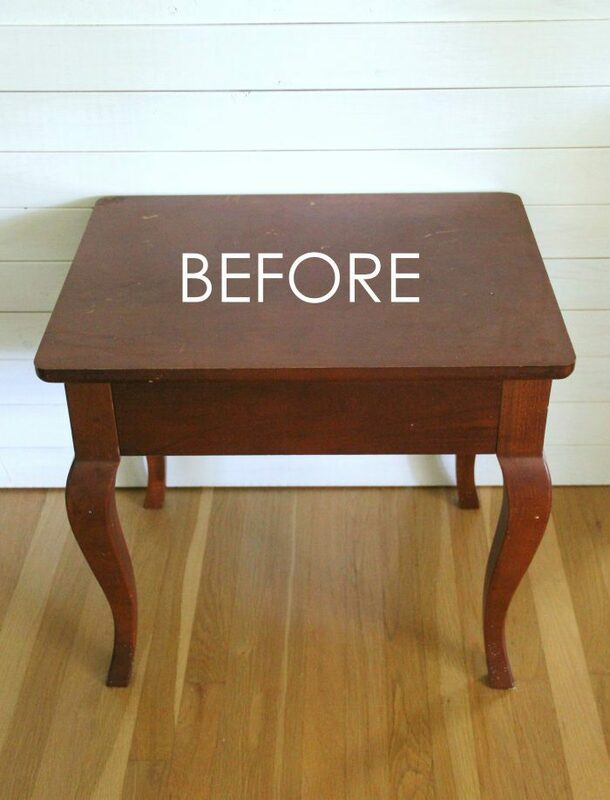 If you are ever intimidated about painting or making over a large piece of furniture, hop on over to the thrift store and pick up an end table. They are almost always in abundance at the thrift store or the ReStore, which is where I picked this one up for a few dollars. And then give it a makeover for practice. :) They are the perfect size to play around with and not usually very pricey. 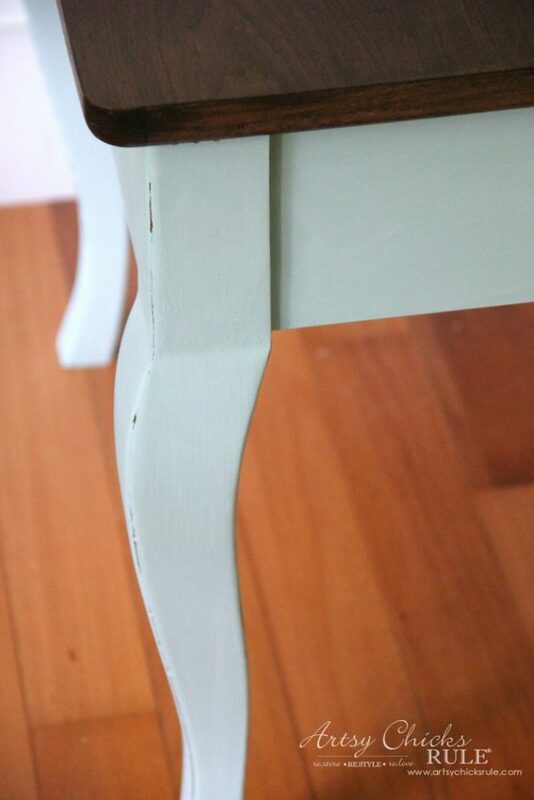 For this one, I used Dixie Belle Paint again. They were kind enough to send me a really nice goodie box some time back. 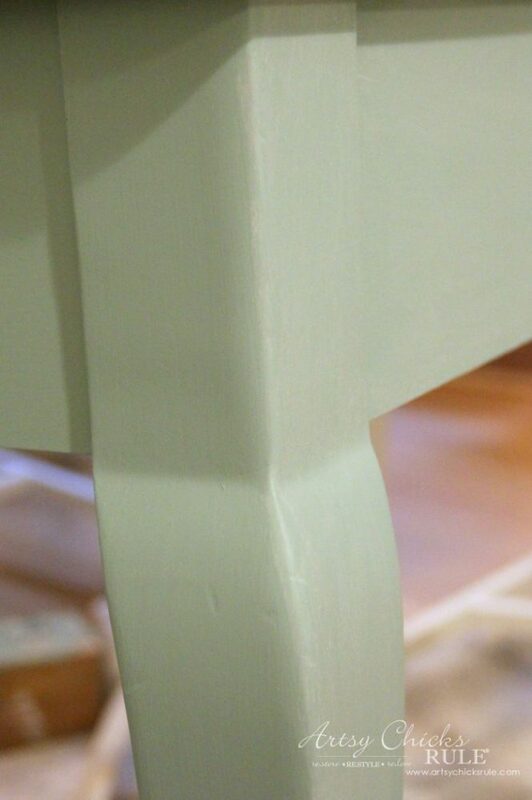 You might remember I used their paint on this other end table —>> here, also. 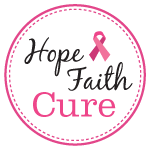 I’ll include affiliate links to the other products I used as well. You can see my disclosure, here. The color I went with this time is called Sea Glass and I just love it! It’s a bit more green than I’m used to using but it is a fun color. 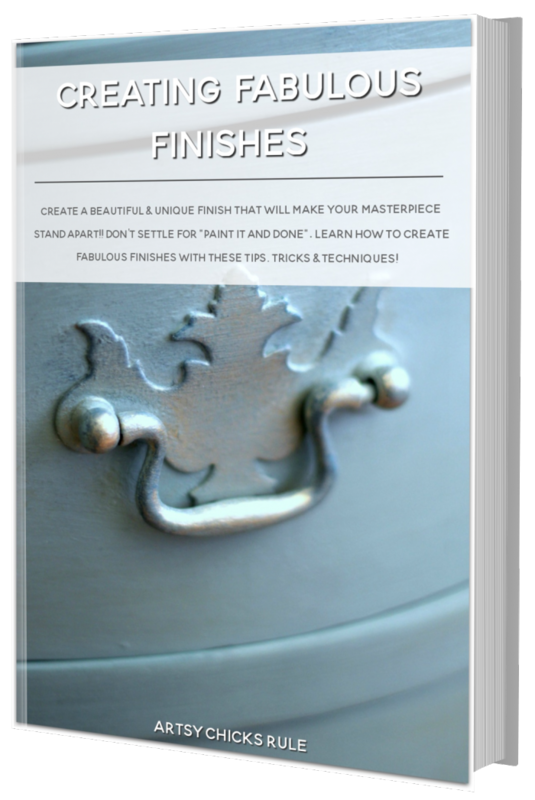 I started out by removing the finish on the top…..
Citristrip makes it a breeze! I then gave it a quick wipe over with some mineral spirits to remove any leftover residue. 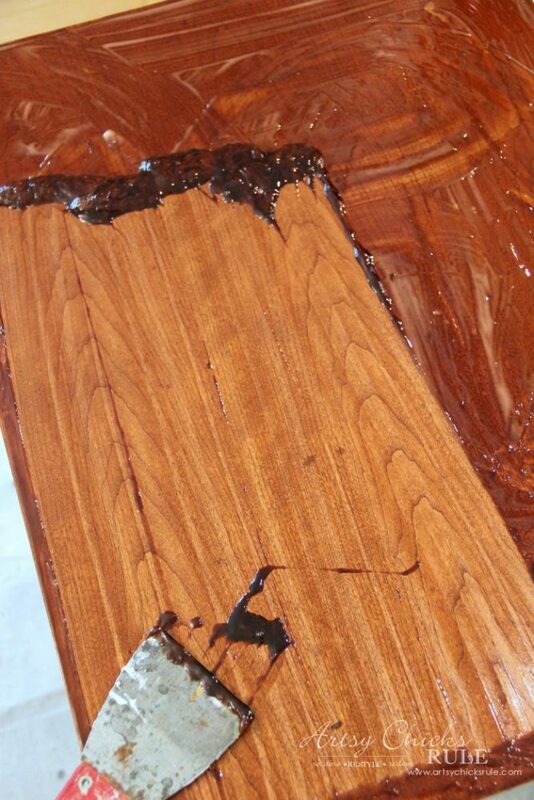 After that was dry, I used the Walnut stain (linked above) first. I went over top of that with the Java stain. Java by itself would have been pretty dark and I didn’t want it too dark. 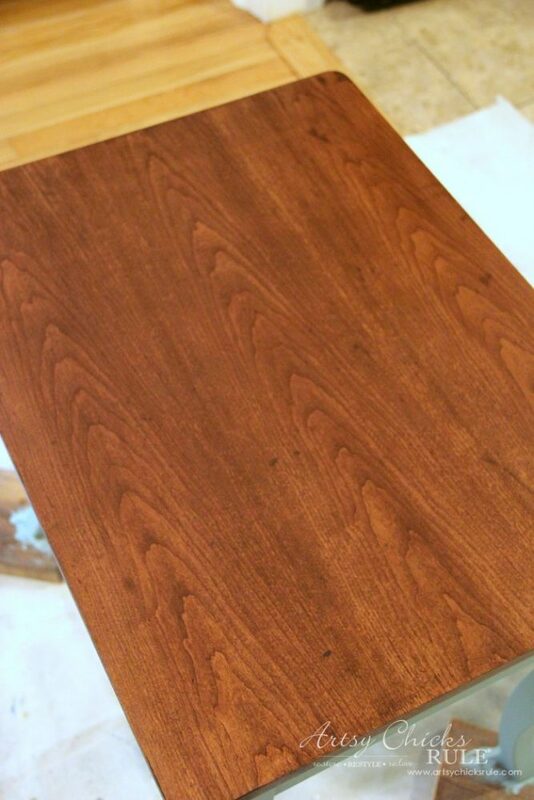 I waited 24 hours and then applied one coat of sealer. I then created this graphic in Picmonkey. I just love that saying, don’t you? 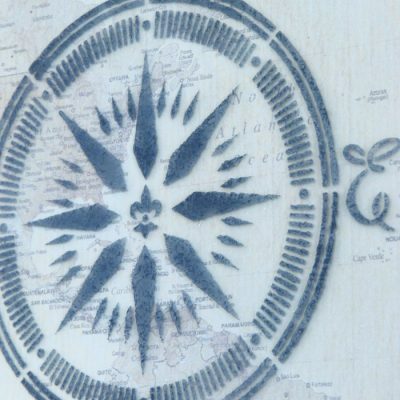 I had originally thought I’d put just the compass rose but decided to put some writing of some sort on it too. I then came across this saying and thought it would be perfect! And then taped the pieces together to transfer. Be sure to use a tape measure and align and tape it to your surface. Theirs nothing worse than doing all that work and then having to redo it because it’s crooked! 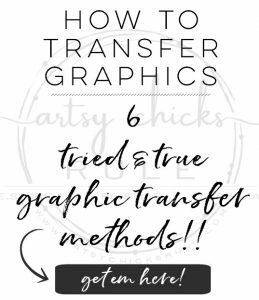 You can read about all of my other ways to transfer graphics, here, “How To Transfer Graphics“. I use a script liner brush for this. The one coat of sealer I applied beforehand makes it so much easier to apply the painted graphics. 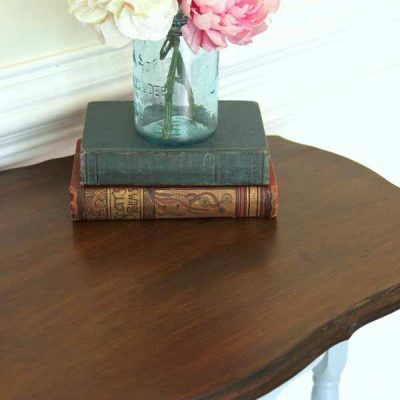 I typically, almost always, like to give it a light sanding to “soften” the edges a bit. I don’t like the flat, just painted, too perfect look. 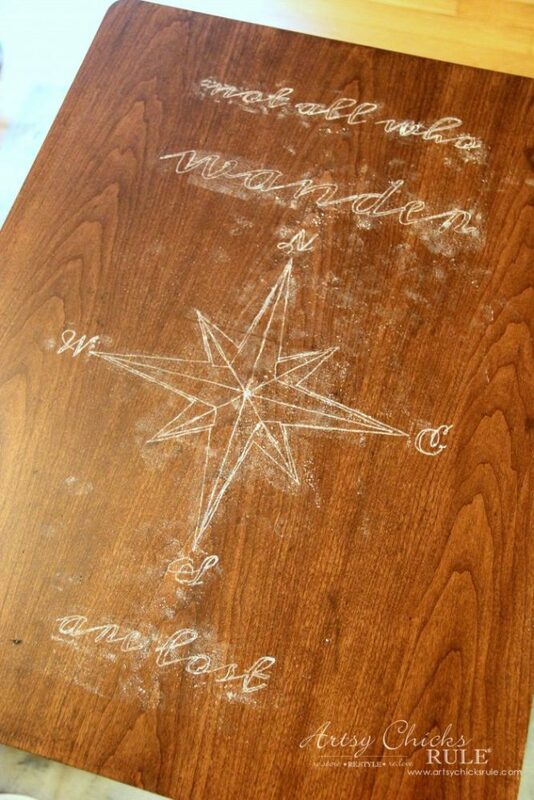 Just a subtle bit of sanding. And then it got 2 more coats of sealer. 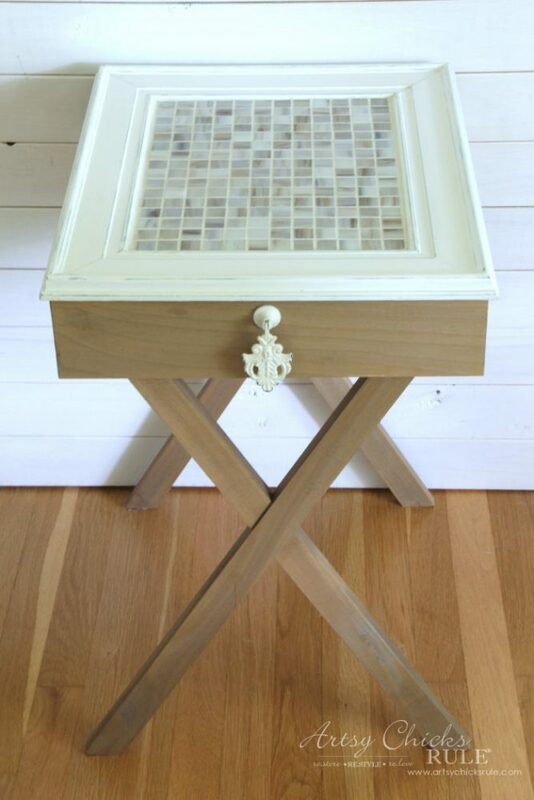 The base got that pretty Sea Glass paint…. And a little bit of distressing here too. It’s very subtle but hopefully you can see it in this photo. The left is unglazed, the right side is glazed. 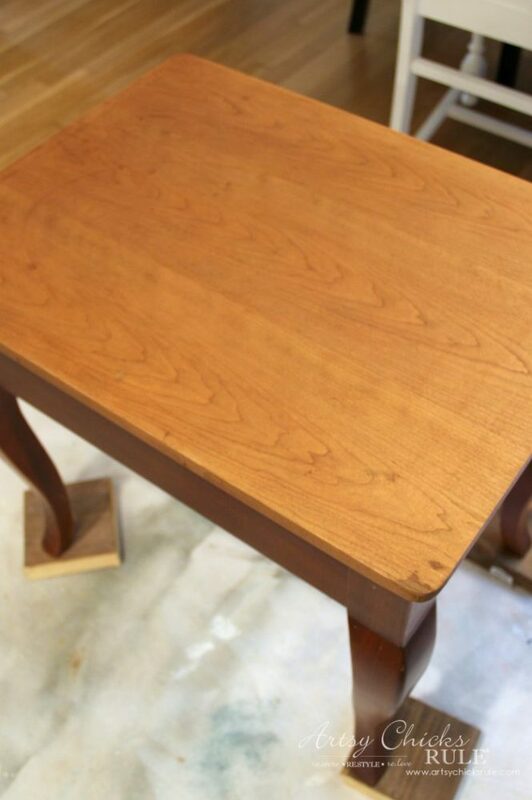 It’s much more noticeable in person and gives it a nice “washed” look which is perfect for this table. It actually goes very nicely in my room. 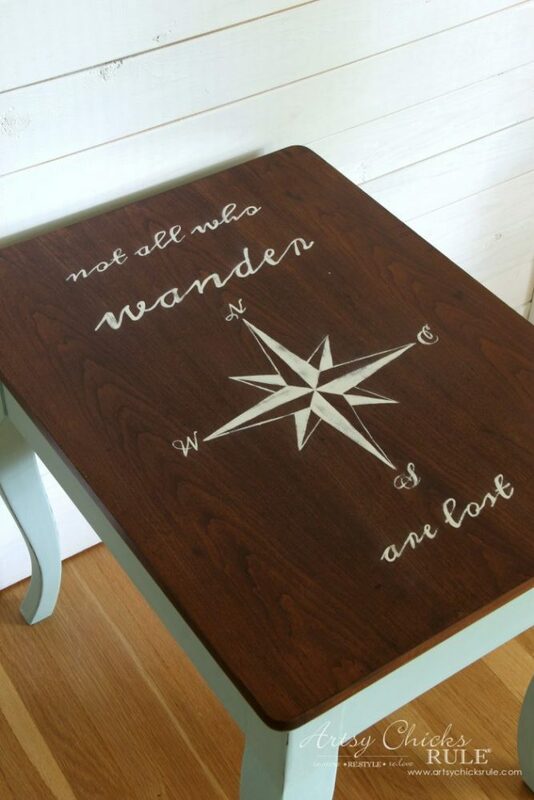 Cute little compass rose end table makes you feel like you are at the beach! 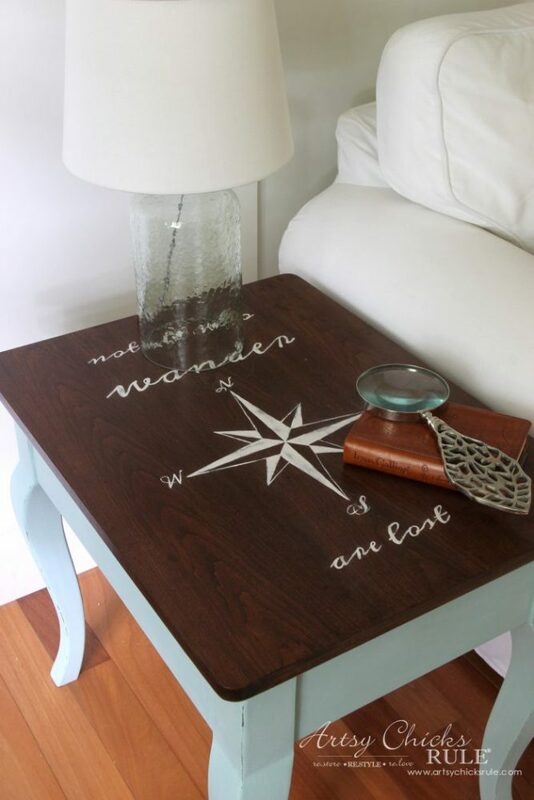 Be sure to PIN this Compass Rose End Table Makeover to save it for later! I’ll see you later this week with the full tutorial on this simple build! 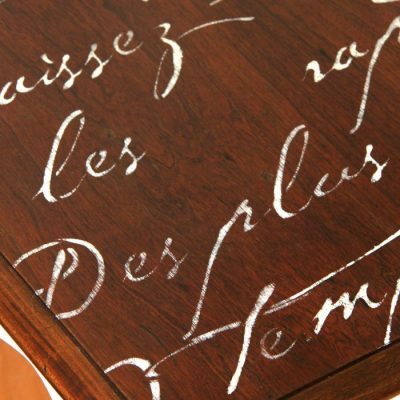 This piece is going to be perfect in your new beach house. 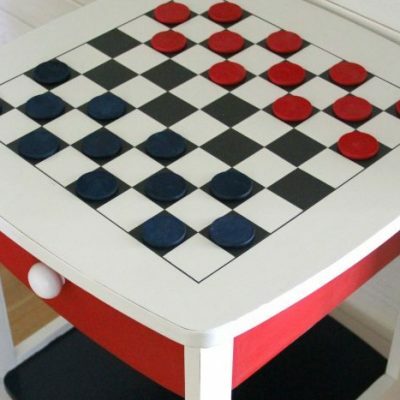 Love the transformation and the design you added to the table’s top. 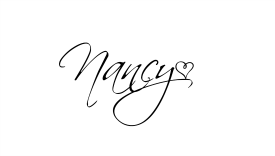 Lovely, Nancy! 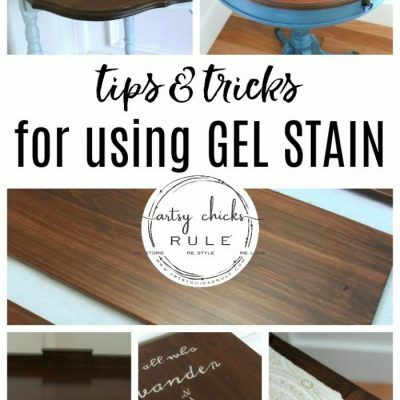 The combo of stains on top is very rich. 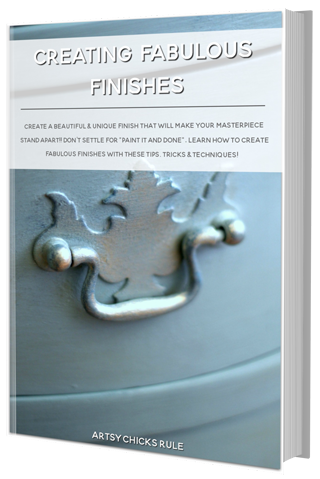 Gorgeous piece and great instructions! Thanks so much. hey girl- so cool! great job!! 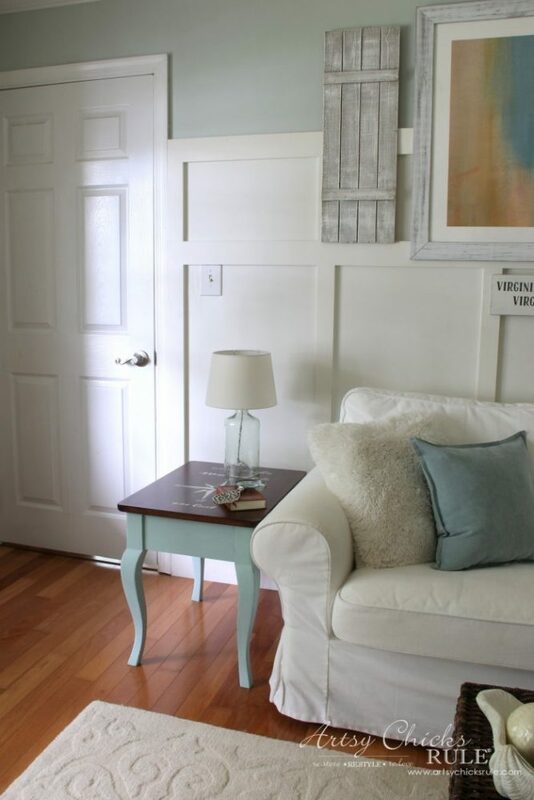 I love the sea glass color, am doing a room in a similar color. Also thank you for the free download. 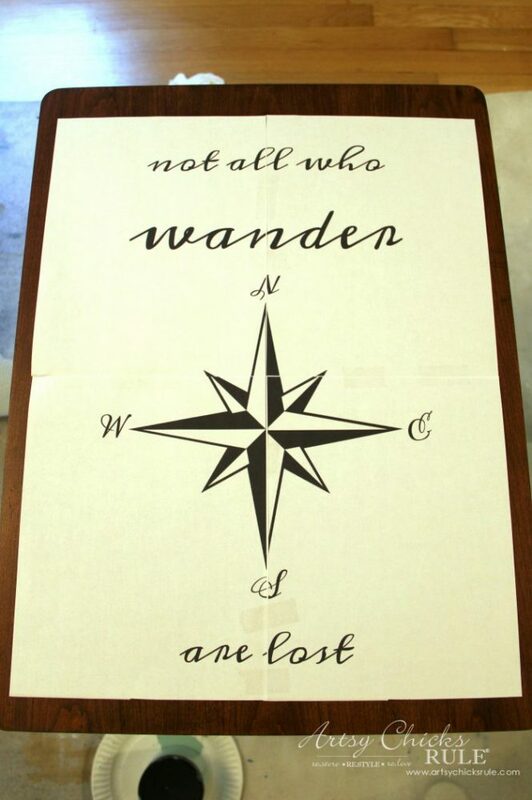 It is on of my favorite sayings, and it goes great with the star compass. 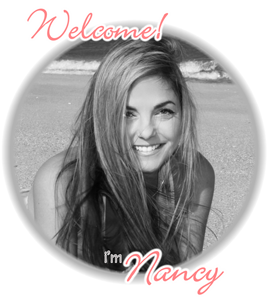 Oh I love the graphic on this table, Nancy! 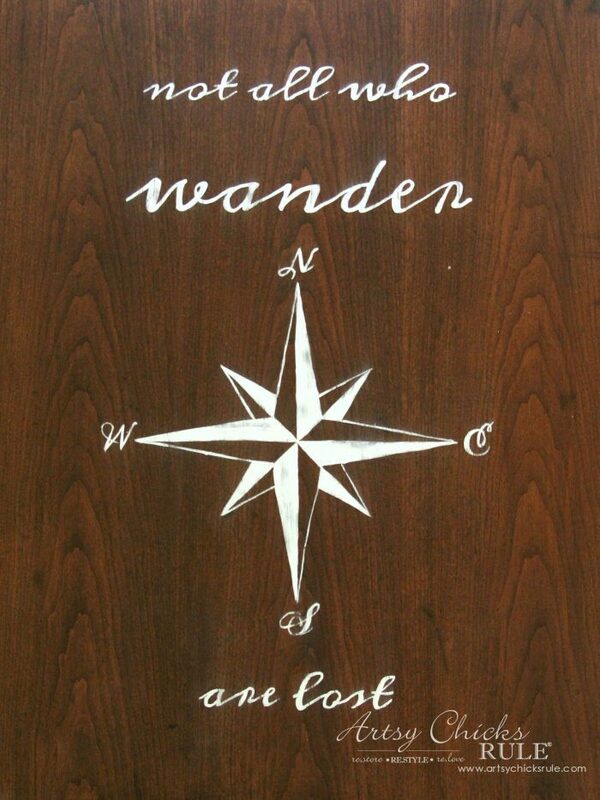 So perfect in a coastal or lakefront home. Love the color too! Pinned and sharing. 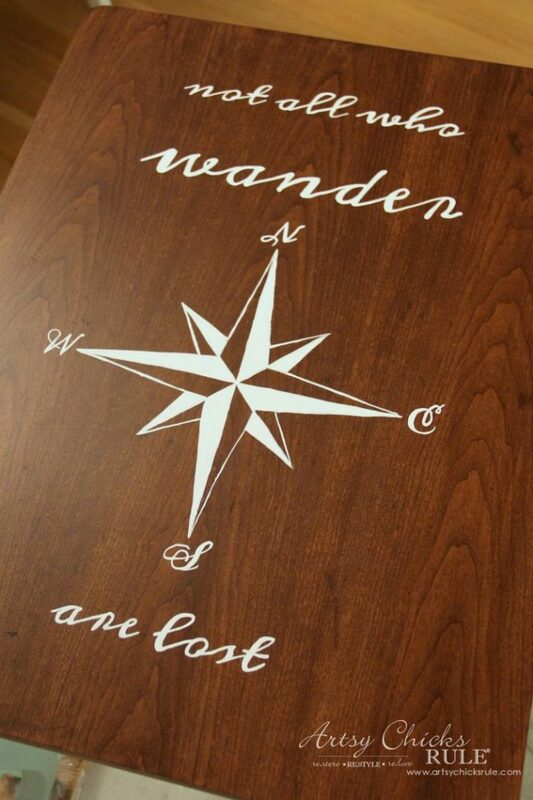 Nancy thanks so much for sharing the compass, wording you used for your table. Sure appreciate. Am not p/c savvy doing things like you made for your table. 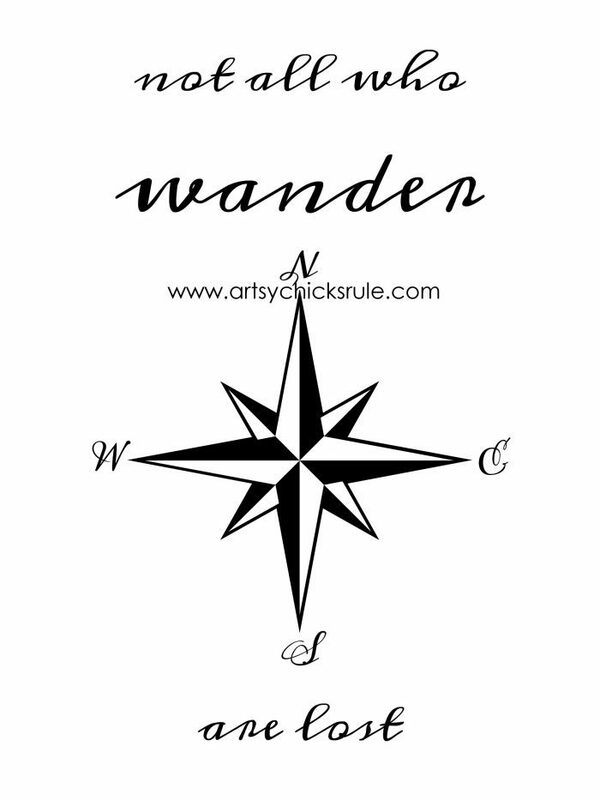 Will be using that to make a sign soon and maybe later on a table. 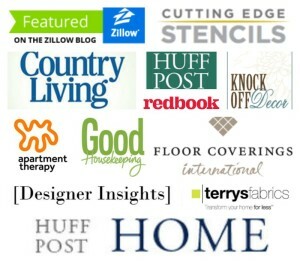 You are such a talented lady, love looking over your blog to see all your incredible projects. Sure have inspired me. 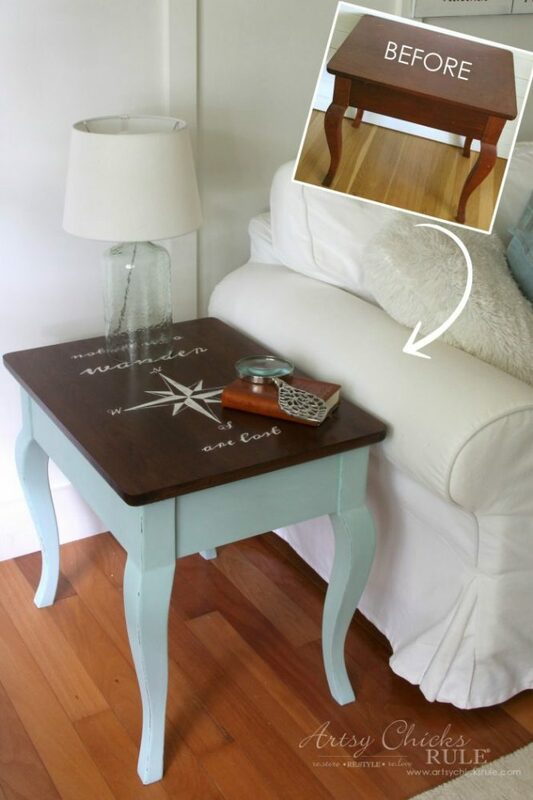 This is exactly what I want to do to with a coffee table I purchased at a garage sale. I already have the supplies. Thank you for the tutorial. I’ll be my plan this weekend. I pinned to my board also.